Canoeing and rafting on the Delaware River. Canoe or Raft through nature on the free flowing Delaware River with one of these exciting Pennsylvania Raft (or Canoe) and Stay Inclusive Packages - Voted By PoconosBest as "Best Rafting Package In Pennsylvania" - Package includes two nights lodging for two, rafting one day for two. You'll spend a day canoeing (or Rafting) down the Pennsylvania Delaware River in your own canoe or raft. Experience Whitewater - Class 2 or 3 rapids ( Not scary - just thrilling) depending upon the time of year. But the most enjoyable of the trip is experiencing the solitude of the river. Drift among islands, peer down at fish, maybe see an eagle or osprey soar over head (lots of hawks), paddle down the same river as pioneering settlers, experience the Delaware Water Gap from a unique perspective and spend time in quiet with nature. Afterwards return to your room at a local 2 1/2 star hotel or 3 star resort (upgraded package) and relax . or visit Alaska Pete's (Voted Best Steakhouse in the Poconos), Smuggler's Cove (voted Best Seafood), MeadowBrook Inn (Special Occasions) or perhaps the historic and spooky Tannersville Inn. This package is for Two nights so... the following day you can spend exploring other things to do here in the Pennsylvania Poconos "One Big Amusement Park" ... Consider Camelbeach Waterpark, Horseback riding, Golf, Paintball, or one of many other fun activities available here in the Poconos. This is a great river rafting trip (or canoe) and will be one of those times you'll always remember. Reserve this trip online or call for more information and to make reservations with a Poconos Reservation Specialist. 2.5 Star Hotel or better. Ask about our Townhouse Canoe (Raft) packages for Groups of 5 or more - Where you stay in your own Private 2 Bedroom, 2 bath townhouse close to the River. (Sleeps up to 8 and has fireplace, equipped kitchen and jacuzzi for two in bath). 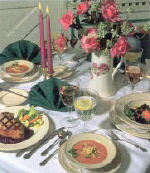 Package will be custom built for your group with or without meal vouchers. Convenient location right on the Delaware River! We have a new base! ·Canoe, Raft, Tube or Kayak. ·Fishing equipment rental and purchase available. ·Fish for Bass, Walleye, Pike, Shad and more! Open seven days a week during the season, which runs from around April 16th to about October 15th (weather permitting). Requirements: Children must be 42 inches tall to ride in a canoe. Children must be 8 years old to rent a tube. Children must be 3 years old to ride in a raft. Children must be at least 10 years old to Kayak.